Adrian Goldberg is one of Canada's most accomplished television lighting designers. With more than 27 years of experience and over 350 project credits, Adrian has extensive lighting design experience in live TV broadcast and special/corporate events. Since 2011, Adrian has focused on developing LED lighting systems as a replacement for incandescent and fluorescent lighting fixtures. 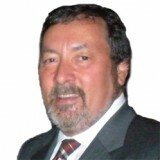 Due to his expertise in this field, he has acted as a consultant to Rosco in the development of its RoscoLED Tape product line. To see more of Adrian Goldberg's work, visit his website: www.tadled.com. 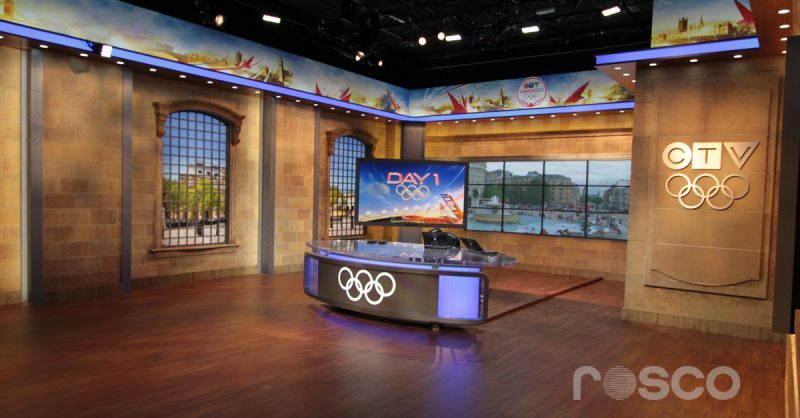 The 2016 Summer Games in Rio are quickly approaching, and many set and lighting designers are searching for ways to add depth, color and spark to their broadcast set design. 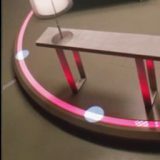 The solution, in my humble opinion, is LED ribbon like the new RoscoLED Tape. Thanks to its versatility and ease of use, both lighting and set designers have the ability to add elements of light and color into their projects like they’ve never been able to before. This design would have been next to impossible in this space using traditional fixtures due to the power consumption limitations and the tight confines of the space. The challenges of limited space and limited power are no more apparent than when you’re trying to backlight scenic windows and graphics on set. To solve this issue, we installed variable color-temperature LED Tape on boards of Coroplast that were installed 6” behind the graphic element. This produced a completely even wash of light that could be adjusted for intensity and color temperature, which allowed designers the ability to shift the background imagery from day to dusk looks easily. Several limitations present themselves when designing an anchor desk. The confined spaces and limited access to power are usually the major culprits in missed opportunities for creative design. In the case of the CTV Olympic set, the desk had a logo on the front that we backlit with variable color-temperature LED tape to make it glow. We also added colored accents into the anchor desk by installing color-mixing, RGB+W LED tape behind panels of ACRYLITE® Satinice on either side. Getting even distribution of light to cover the header graphic that surrounded the set was another serious obstacle we faced on this job. Using conventional light fixtures was out of the question because acquiring, powering and installing the quantity of fixtures needed to cover the entire length of the graphic was not within the scope of the project. The variable color-temperature LED tape not only lit the graphic evenly and efficiently, it also offered the added bonus of varying the color temperature of the graphic from 5500K during the daytime broadcasts to warmer color temperatures during the evening and nighttime broadcasts. We also repeated the same combination of color-mixing LED Tape and Satinice as a ribbon of color around the top. This allowed us to tie the colors found in the background of the set into the colors we were using on either side of the desk. Adding light to enhance details within the set is always a challenge. Large numbers of conventional instruments are often used to capture these details – adding considerable cost and installation time to a project. In this set, we used variable color-temperature LED tape to accent the side walls and soffits in order to add depth and interest into the set detail. 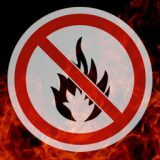 You can also use fixed color temperature LED tape behind monitors, set pieces, wall columns, coves and other impossible to light areas. 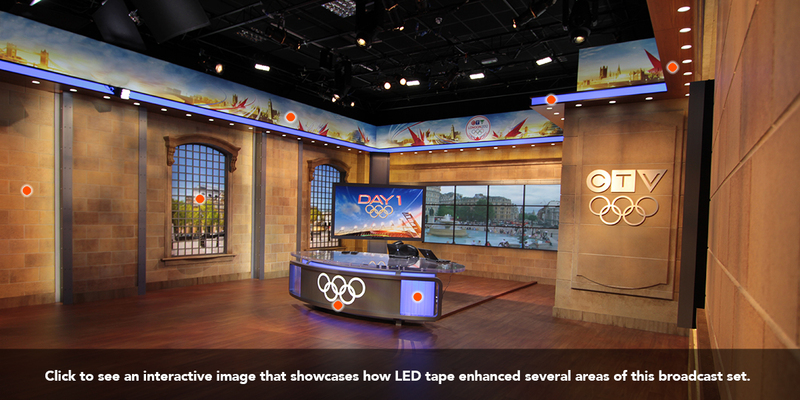 The CTV Olympic set also called out a significant number of pot lights that were designed into the header of the set. Again, the power and cost of so many fixtures was becoming an issue. We ended up installing 5600K LED tape above the cut out holes in the header and covered the holes with Satinice, which gave the appearance of individual pot lights without the cost of individual fixtures and individual power runs. 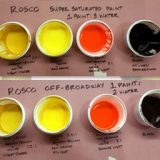 You can also visit the RoscoLED Components page if you’re looking to build your own custom installation. Thanks to Rosco, you now have access to the same exact LED tape solutions that I use in my lighting designs.